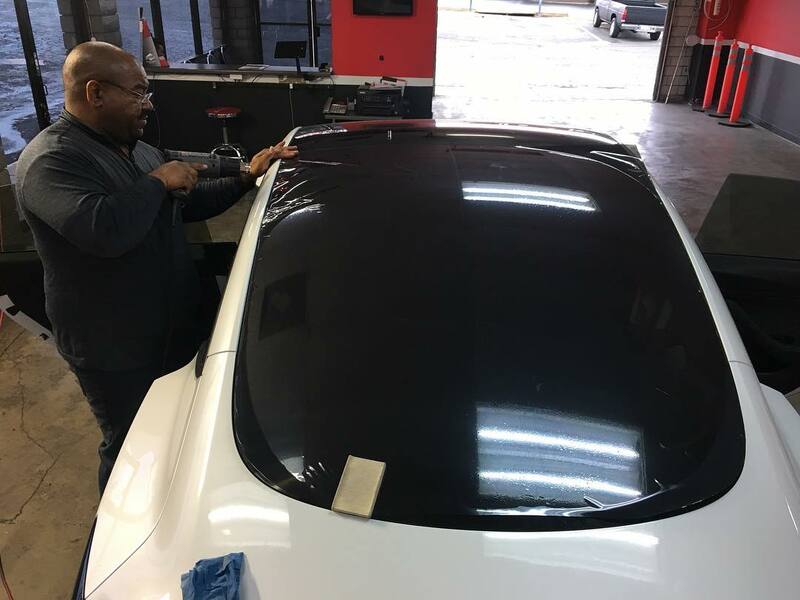 Jahmal working on a Tesla model 3 back window installation 3M Crystalline 20%. It came out awesome! Bring your Tesla by the shop today!